Oh, cows... How sad that so few people now will ever know the incredible sweetness of a Jersey cow, with their huge liquid eyes and impossibly soft ears. Most of us now will only see a cow once or twice in our lifetimes, but the cow is still a classic image of the American farm, as well known as a grain silo or a tractor. You should know that diary cows are generally brown, and cattle cows can be white, black or brown. 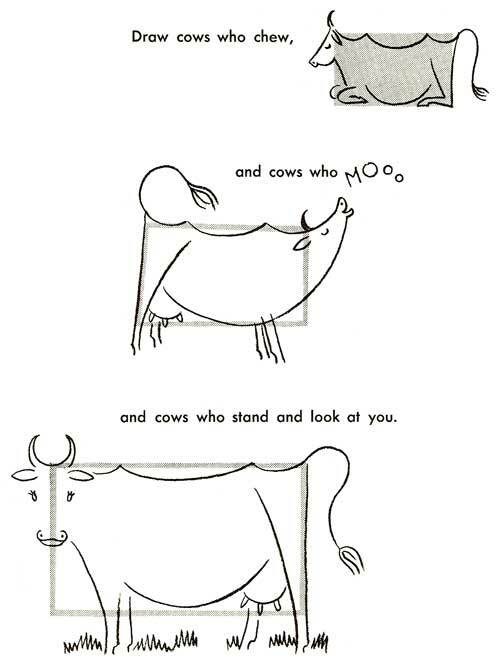 Cows are generally pretty calm animals. They don't tend to run a lot, and most of their time is either spent chewing grass, chewing cud, or sleeping. They are usually only on the move when they are walking to a drinking trough, or walking toward the barn at night. Because of their calmness, when you draw a cow, it will probably be in a peaceful setting, like a landscape drawing. Cows can make a nice addition to an otherwise empty field in a landscape work, especially if you add some interest, like the cow lying down and a big storm cloud in the distance. Many people know that cows tend to lie down before it rains, so showing the cow lying down and the cloud in the background will kind of set the scene for your drawing in an interesting way. 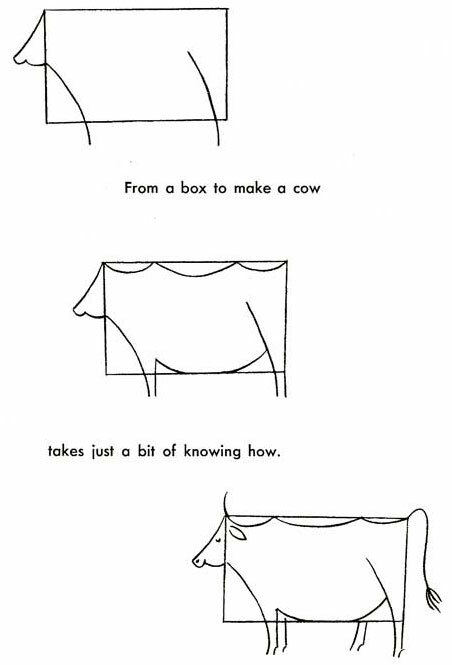 Another way to draw cows.